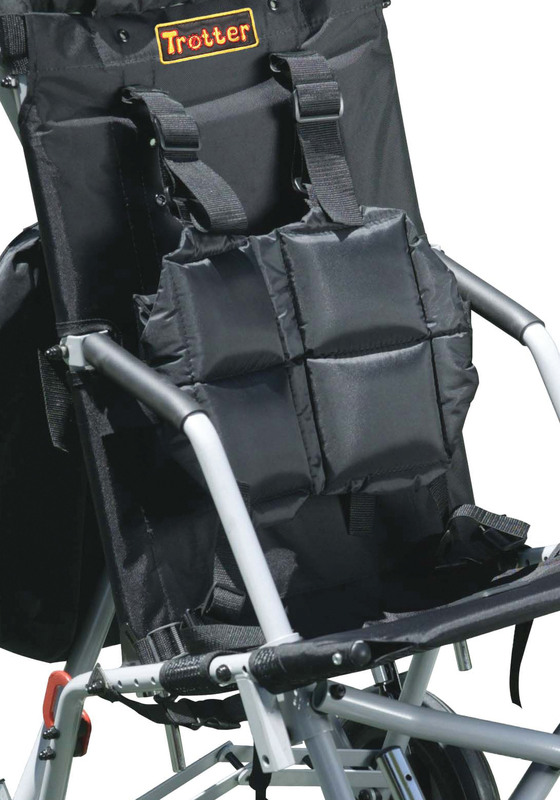 The Full Torso Vest for Wenzelite Trotter Mobility Rehab Stroller provides security and support while seated in the chair. The vest is adjustable and zippers closed to provide anterior chest support and maintain correct midline seating position. The vest easily attaches to the Trotter Mobility Chair.